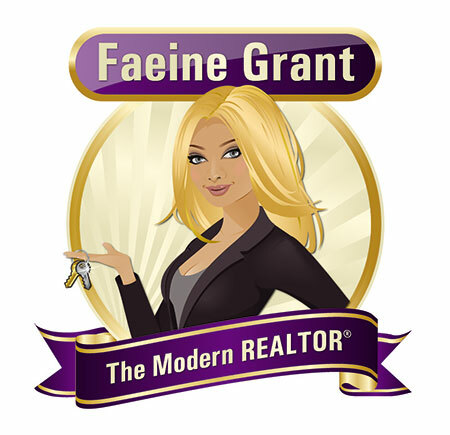 Hi - I'm Faeine ("Fay-een") aka The Modern REALTOR®. Those that know me, know that I CARE deeply for those I love. My clients become my family and I strive to encourage and EMPOWER the workin' mommas, young families wanting to get ahead and yes, the girls and women in the business world! From the day I threw my graduation cap, Real Estate became MY PASSION! My history and experience within the industry has passed through many stages and areas, building my foundation from reception at the Re/Max office in Terrace BC in 2003, to assistant (New Westminster – RE/MAX Advantage), buyers/sellers agent (2010, RE/MAX Advantage & Keller Williams), then both as individual & in partnership. The Abbotsford/Chilliwack area is where I've been specializing for the past 6 years now and I can truly say that I've found my paradise. With an Associate’s Degree from the Okanagan University College, Performance Theatre and the UBC Sauder School of Business for Real Estate, I'm well rounded in education and real life when it comes to this FABULOUS industry. I create an experience: unsurpassed service with emphasis on providing my clients honest advice and enough information so they can make their own decision – with confidence. I take pride in always staying up to date on cutting edge systems when it comes to marketing, photography, technology and strategy. I take seriously the trust that has to be placed with the person representing the largest purchase of most peoples’ lives; I honour this trust immensely and always put my clients' best interest first. ALWAYS. Alongside a career and team I love tremendously, my friends, family and little boy are what makes me whole.... well, that and lifting weights!